What’s in store for you at the Simpsons Store? From (for “¬ye, carumba!”) to (for “azz”), Matt Groening, the master of mirthful mischief, presents over twenty years of titles from his very own publishing company, Bongo Comics Group! The new Simpson Store app features an everexpanding library of digital versions of the best humor books in the biz, including familyfriendly and familiar titles such as Simpsons Comics, Bart Simpson, Treehouse of Horror, and many, many more! So tap into the information superhighway for a super reading experience like no other. Now available on your iPad, iPhone or iPod touch, our cloudbased platform will automatically sync across your neverwithoutitbyyourside iOS devices. Your wish list is our command. What are you waiting for? The Simpsons Store is open for business! 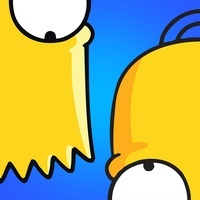 Check these links to find your download for Simpsons Store for & iOS or for your device iPhoneiPod TouchiPad. The app Simpsons Store is compatible with te following devices.